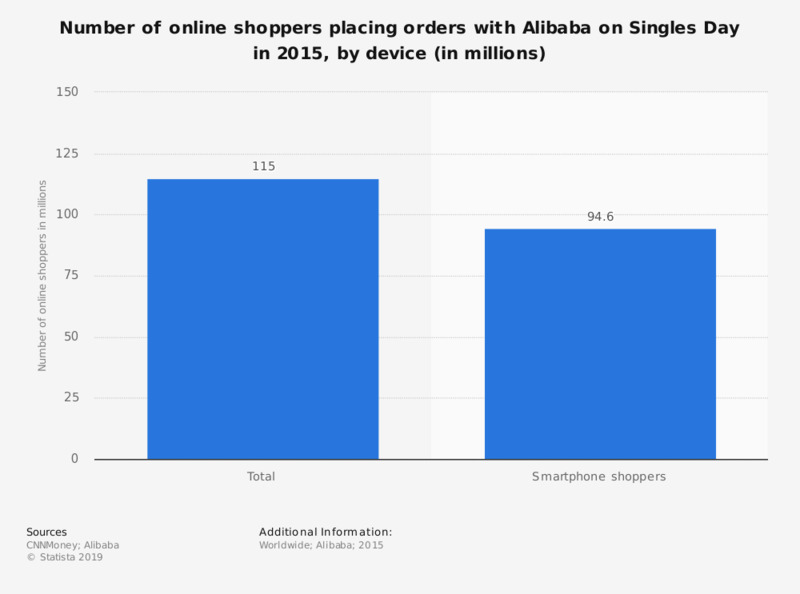 This statistic shows the number of online shoppers placing an online order on Singles Day in 2015, sorted by device. That year, 115 million shoppers worldwide placed orders with Alibaba during the online shopping event. Data refers to shoppers placing orders on Alibaba's China and international retail platforms. Statistics on "eCommerceDB - Top online stores worldwide"